Welcome home! Well maintained and popular Atrium C with 1400 sq.ft. and a bright extra window in the living room. A large lanai opens out from the living area and a 2nd private lanai off the master bedroom. Gorgeous views of the foothills including Devil's Head craggy skyline. Kitchen features wood laminate floors, updated dome lighting and Corian countertops. Updated faucets in baths and Corian countertops too! 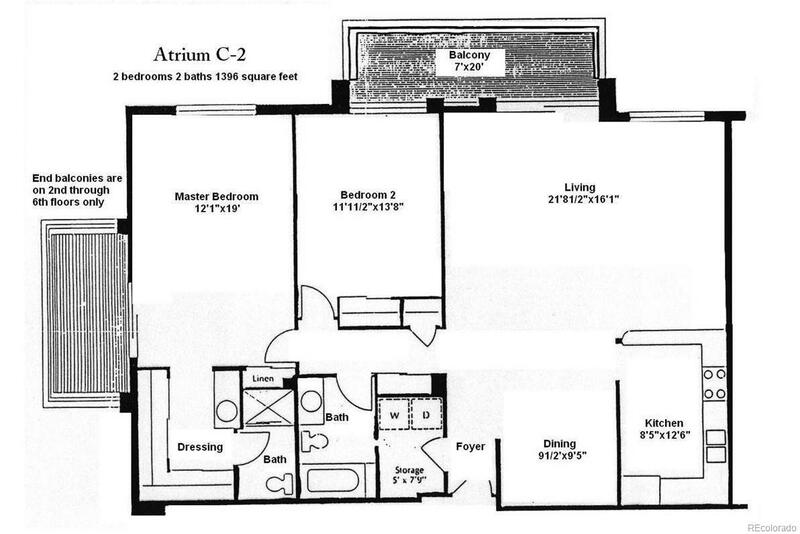 Lots of in-unit storage as well as additional storage closet located on same floor just down the hall. Under building parking spot is great for Colorado winters. The Heather Gardens community is a great place to live and features a par 32, 9 hole golf course, clubhouse with indoor/outdoor swimming pools and many more amenities. Come enjoy the lifestyle of Heather Gardens today!